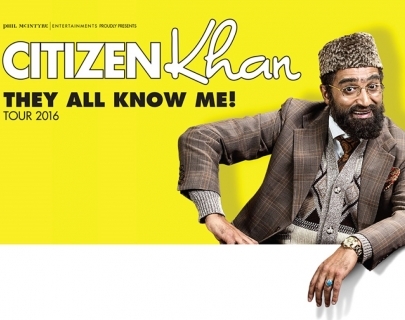 Citizen Khan: They all know me! Following four hugely successful series on BBC One, Adil Ray is bringing the much loved self-appointed community leader, Mr Khan to the stage. Mr Khan, created and performed by Adil Ray, is a larger than life character, with strong opinions and big dreams, facing the challenge of how to make ends meet yet keep his family happy. Things would be much easier if everyone just listened to him and followed his lead, and now he is hoping they finally will. Citizen Khan is currently the most watched comedy show on British television and has been bestowed four awards by the Royal Television Society – including Best Performance in a Comedy, awarded to Adil Ray in both 2013 and 2014. Its success has been attributed to its family audience and its popularity with younger viewers over alternative comedies on TV.